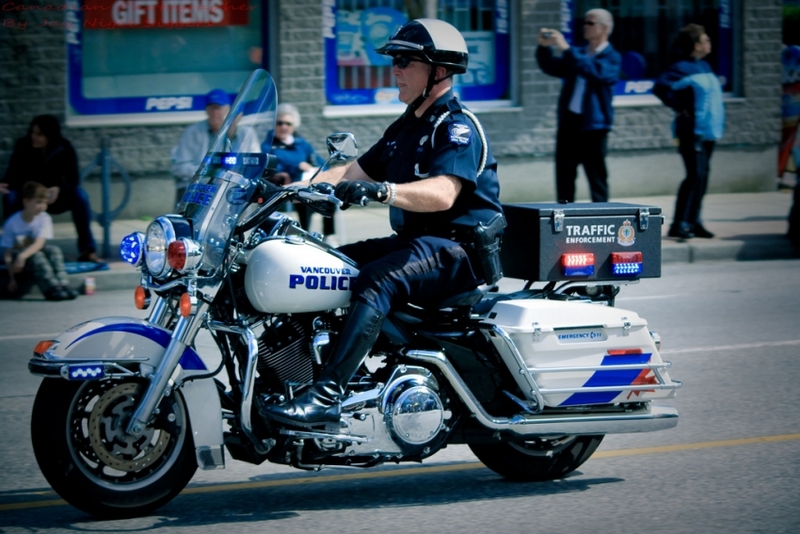 A VPD officer on a motorbike. (Wikimedia Commons). Fentanyl patches were among a quantity of prescription drugs stolen in a Vancouver pharmacy robbery shortly after 10 a.m. today. Vancouver Police are warning drug users to be aware of the risks posed to people using this substance. Fentanyl is a synthetic opiate narcotic that is up to 100 times more toxic than morphine. It is typically used to treat cancer patients suffering severe pain and is a prescription medicine. However, illegal drugs such as heroin, cocaine, and others can be cut with fentanyl by dealers. The substance cannot be seen, smelt, or tasted, but it can kill. Early warning signs of fentanyl poisoning include severe drowsiness, cold and clammy skin, breathing difficulties including slow or shallow breathing, slow heartbeat, and trouble walking or talking. Drug users are advised to never inject, snort, or swallow drugs alone, and to call 9-1-1 immediately if any overdose symptoms start. More information on the dangers of fentanyl can be found online at Know Your Source. Anyone who has information about this robbery, or knows the whereabouts of the stolen pharmaceuticals, is asked to call the Vancouver Police Department or Crime Stoppers at 1 (800) 222-8477.